Established in 1970, Positron is a holding and operating company that develops and manufactures telecommunications equipment for high reliability, critical service applications. Positron Inc. has several high-tech operating subsidiaries in the telecom domain, including Positron Access Solutions, Positron Telecommunication Systems and Positron Investment Corporation. Positron has received two awards for leadership in developing new technologies from the Institute of Electrical and Electronic Engineers (IEEE) as well as the Canada Export Award. The Aktino carrier class bonded copper solutions provide high bandwidth over a carrier service area, providing a cost effective and extended Ethernet service footprint for the carriers. Aktino products deliver one to 800 Mbps Carrier Ethernet and DS3 TDM solutions, making them ideal for applications by providing Ethernet services for Business, as well as Mobile and DSLAM backhaul applications. Positron’s converged access device portfolio includes the pseudowire based AEX-50/100 for the edge of access and metro networks. The portfolio provides end-users and carriers flexible choices for backhaul of today’s mix of voice and data services for wireless, business services and triple-play offerings. 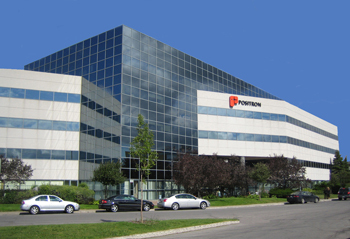 With offices in Corona, CA and Montreal, QC, Positron's global footprint extends from the United States and Canada through Europe, Latin America, Asia and the South Pacific. Positron is committed to exceeding our customers' expectations by meeting product and service requirements and continually improving our processes. Positron is certified by BSI Management Systems to operate a Quality Management System which complies with the requirements of ISO 9001:2000. ISO9000 is a registration to an internal standard for quality whose requirements are aimed at achieving customer satisfaction by preventing nonconformity at all stages from design through servicing. ISO9000 certification is sought to demonstrate capability to our customers and as a mechanism for internal improvement. The benefits of registration are greater customer satisfaction, measurable objectives, improved product quality, increased operating efficiencies, improved profitability, as well as providing a platform for excellence. 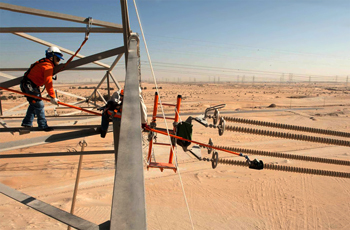 Others companies related to Positron Inc.
Positron develops and manufactures high voltage isolation products to protect telecommunications circuits entering substations, power generating plants and any high voltage area that is susceptible to the effects of Ground Potential Rise (GPR). Positron is the market leader in providing high quality, reliable fiber and copper based isolation equipment that meets the highest industry standards. Worldwide, there are more Positron isolator circuits deployed than any other vendor. Positron is the only equipment vendor in the market to offer a complete line of copper (Teleline) and fiber based (TeleLite) high-voltage isolation/protection solutions. In January 2008, Positron Telecommunication Systems Inc. was created to develop and market sophisticated VoIP equipment for enterprise communication and collaboration through communication service providers. The company’s products integrate VoIP and traditional telephony in stand-alone systems that combine ease of use with powerful functionality. Positron Telecommunication’s VoIP devices connect analog devices (telephone, fax and modem) to an IP-Network, gateways connect PSTN users to an IP Network or analog PBX, as well as Key Systems to an IP-Network. Positron Telecommunication’s VoIP devices provide an ideal platform to launch converged voice and data services, support SIP Proxy’s, integrate to Microsoft OCS through a combined Mediation server/ PBX and provide sophisticated visibility into the PBX attributes through a detailed operator panel.